One of the more interesting Bible discussions in this life is about the timing of the Rapture. Hey, this world will go from normal to experiencing God’s wrath in a split second. And there are many reasons to believer we’re getting close to the end of this age. 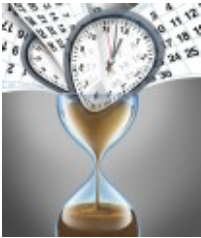 I wrote an article in our Spring Communique’ entitled “The Last of the Last Days” and presented 10 unmistakable signs were close, very close, to wrapping up this age. So there are numerous clues hidden in scripture about the last days, especially pertaining to the Rapture. And based on these Biblical clues, I think that the Rapture will probably happen on the Jewish Feast day of Rosh Hashanah, regardless of the year. 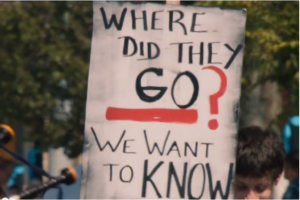 Here’s why! Passover has been extensively analyzed by numerous Biblical scholars. 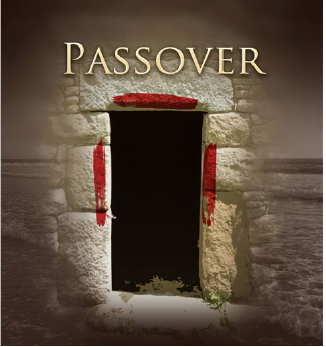 In a nutshell, Jesus is our Passover Lamb, the Lamb of God. Jesus was slain on the cross on Mt. Moriah, the same mountain where Abraham tried to sacrifice his only son Issac. It’s also the same mountain where all the animal sacrifices were offered. The Passover sacrifice had to be a male lamb without blemish to temporarily cover their sins. So it’s quite fascinating that at the exact same time the Jews were slaying their Passover lambs on Mt. Moriah, just a few steps away Jesus was being sacrificed as permanent covering for our sins. There’s perfect symbolism in the other six feasts as well. Leaven in the Bible is a symbol of sin. The Jews purged their houses of leaven, in conjunction with what the sacrificial lamb had done–covered sin temporarily. 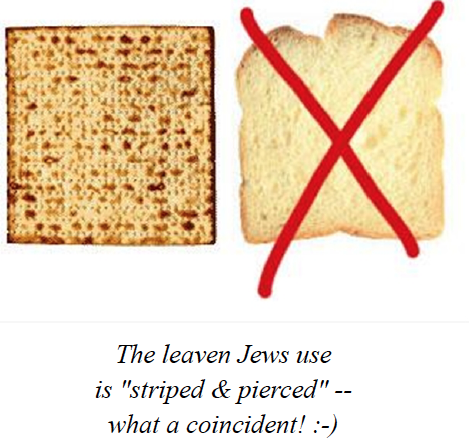 Unleavened bread is a picture of what Jesus had done on the cross…permanently covering our sin. 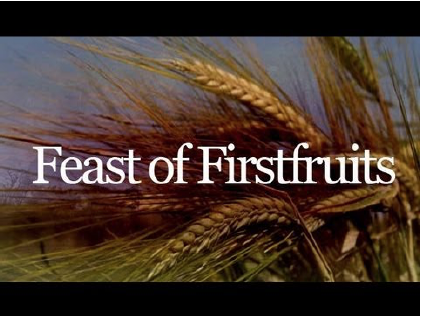 Jesus is called the “firstifruits” from the dead (sleep). The leaven represents sin’s existence in the church. That’s an understatement! Just a coincidence? 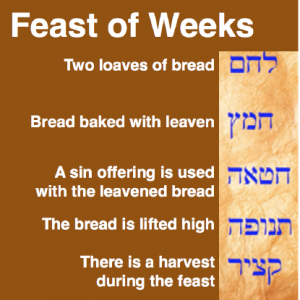 The symbolism of Jesus and the church in the first four spring Jewish feasts is undeniable.The first four major events of the Church Age – Jesus’ death, burial, and resurrection, and the coming of the Holy Spirit – all fell exactly on the days of the Jewish Feasts. 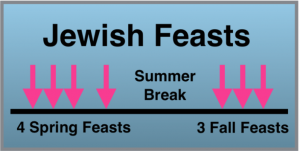 But there’s a long summer break between the spring and fall Jewish feasts. 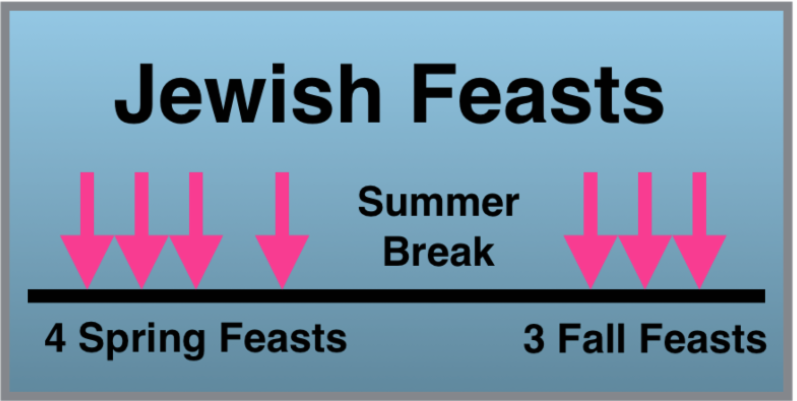 The summer break in the feasts may very well represent the Church Age break in God’s plan for the Jews. 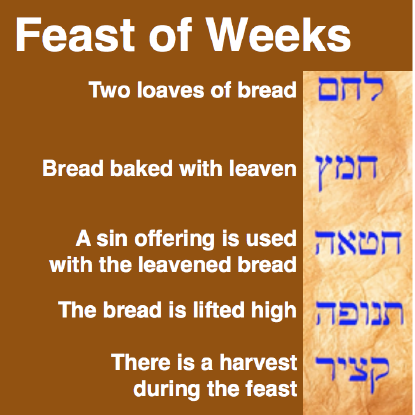 God divinely scheduled the first four major events of the Church Age to land exactly on the Jewish Feast days. Therefore it’s probable that the next big Church Age event, the Rapture, will occur on the next Jewish Feast in the fall…. 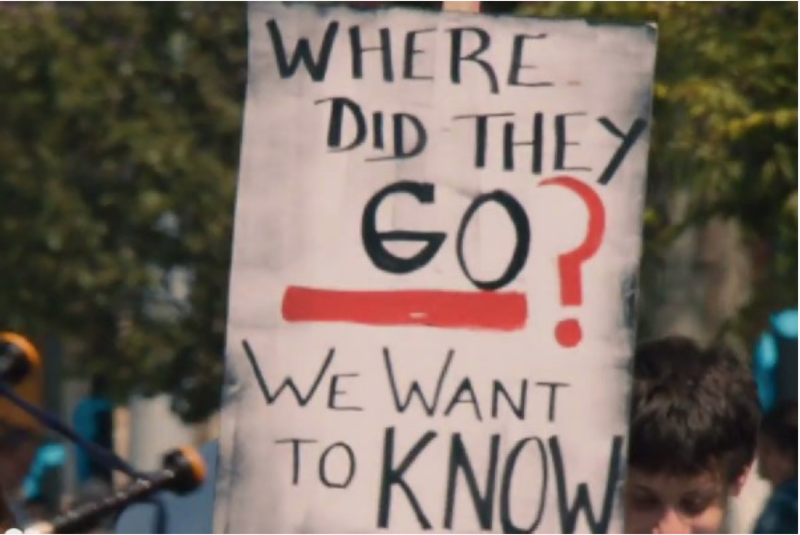 whichever year the Rapture takes place. 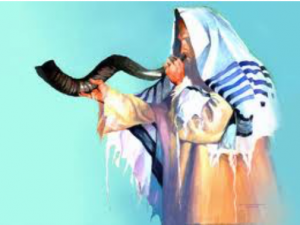 Called Rosh HaShanah, it’s a day of gathering and celebration and the Jews are specifically charged to “blow trumpets.” The blowing of a Ram’s horn from the southwestern corner of the Temple Mount was the signal that it was time to gather in Jerusalem. 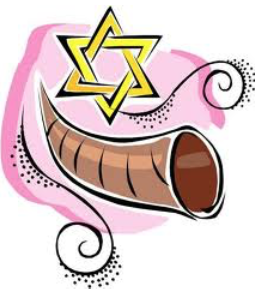 For this feast, the Jews would blow the shofar for 29 days. Then on the last day there was one more blowing–three distinct series of 30 blasts each. This was followed by ten final blasts leading up to “The Great Blowing.” This was one last, long blast of the trumpet, proclaiming the beginning of the feast. As all who have studied the Rapture know, it’s a day of gathering in the air and certainly should be quite the celebration! There’s a trumpet blown at the feast of Rosh Hashanah and a trumpet blown for the next Christian event, the Rapture. The Jews celebrate at Rosh Hashanah and Christians will celebrate at the Rapture in the sky. Therefore, following God’s pattern of having the first four major events of the Church Age land on the first four Jewish feasts, I believe undoubtedly that the next big event of the Church Age is likely to occur on Rosh Hashanah, regardless of the year! Like many other statements He made to the Jews under the Law, it was true when He made it before the cross, but not true today to you and me living in the Church Age. Today, Jesus can’t make that statement! Second, we still don’t know the year, much less the day and hour as Israel is one day, eight to ten time zones ahead of us.